From the team behind I Don’t Like Koala, this clever picture book takes a discerning look at the challenges of behaving and controlling your emotions—especially when your own personal monster keeps getting in the way. * "The Snurtch sits in Ruthie's seat at school, all furry, spiky, goofy, and googly-eyed, waiting—just as she expected.... Children whose cheeks flush with quick anger and whose school days are riddled with frustration and regret will empathize deeply with Ruthie's helplessness at the hands of her Snurtch.... While the Snurtch doesn't appear scary (it looks kind of silly), its perfect embodiment of overwhelming (and instantly regrettable) impulses borders on heart-wrenching. Every student harbors and battles a Snurtch, as readers see with relief on the final pages of this clever, pertinent book, but some have bigger, more monstrous ones than others. Ruthie's dark brow, set mouth, and hooded eyes make clear the weighty burden she carries around like a backpack. Original in its visual and linguistic presentation of behavioral problems, this important call for understanding should sit on library, classroom, and bedroom shelves—the high ones, just above a Snurtch's reach." * "Everyone has his or her demons. Ruthie’s is called the Snurtch.... “The Snurtch is grabby and burpy and rude,” writes Ferrell, who, along with Santoso, explored another less-than-healthy relationship in I Don’t Like Koala (2015)...after Ruthie shares a portrait of her nemesis in class, the exercise triggers an epiphany: yes, the Snurtch is part of her, but it doesn’t control her. The Snurtch isn’t vanquished (nobody’s perfect), but with Ruthie’s new sense of self, it becomes a little more empathic, which vastly improves her feelings toward school. It’s beautifully true to life, and Santoso’s quick-tempered heroine, with her eloquent grimaces and pigtails that festoon her head like architectural detailing, is fully deserving of readers’ sympathies. And as the final pages make clear, Ruthie is hardly alone in having an attitude that can get a little beastly." "Ruthie, a wide-eyed, snub-nosed child with pigtail tufts that stick straight up, “has a problem at school.” And it’s a big one. Think imaginary friend meets Inside Out meets the old devil-made-me-do-it excuse, and voilà, you’ve got the Snurtch.... Portrayed with humor and empathy, Ruthie’s challenges with regulating emotions and behavior will provoke plenty of discussion—even among the youngest of listeners." "Ferrell’s clear, succinct prose will appeal to kids.... Santoso’s delightful depictions of wild-eyed monsters wreaking havoc in school will delight preschoolers... [an] entertaining addition for larger library collections." "Ruthie resolutely marches into her classroom, pigtails in angry puffs, to find her old nemesis—the Snurtch—already seated at her desk.... The creators of I Don’t Like Koala (2015) here take on another childhood challenge with their signature quirkiness. Santoso’s hysterical illustrations expertly capture the children’s open expressions and the wild antics of the Snurtches....kids will identify with having a fidgety, mischievous monster inside." "Illustrated self portraits of Ruthie when she is feeling Snurtch-like give visual impact to the feelings elicited by the Snurtch.... 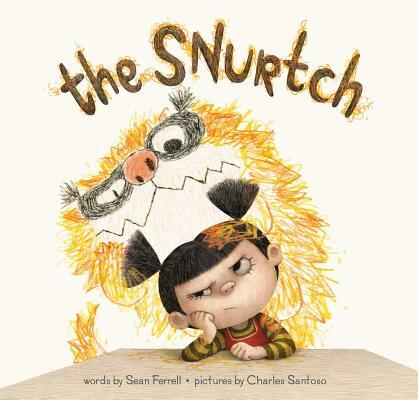 The author skillfully and humorously describes the Snurtch's effect on the classroom, and explores a difficult problem that is experienced by many students who do not realize they are being manipulated by their feelings. RECOMMENDED."